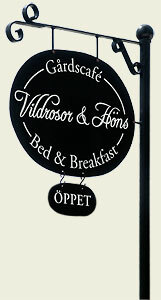 Vildrosor & Höns is a garden café and Bed & Breakfast in a turn of the century environment where every detail is chosen with care - a place for those seeking fresh country air, peace and quiet. Balancing high-quality care for the environment and tradition is our goal. Therefore, we make our beds with organic bedding and bake our bread and cakes with mostly organic ingredients. 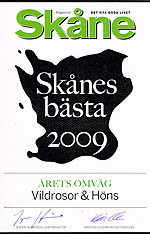 We are also very proud to have been selected as "Scania's Best Detour 2009" by the magazine Scania. 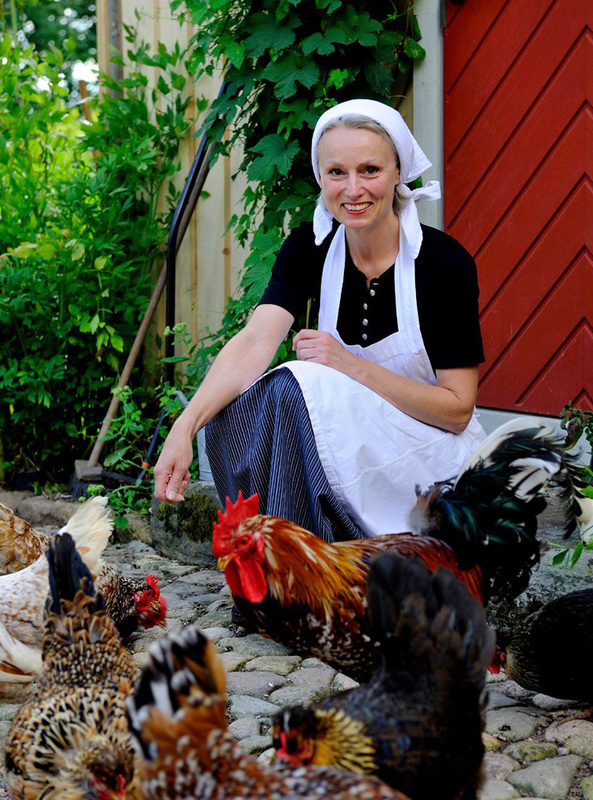 You'll find us in northern Skåne, only 10 minutes away from E: 4ans "Scania Port" at Örkelljunga. We are open from June until September. A warm welcome from us!